Settled Units – Virtually unchanged from last year at this time. On a national level, settled units dipped over 4% in the fifty largest metro areas so our area stacks up better than the national average. Average Sales Price – This number continues to climb at a steady rate; up almost 4% from last year which mirrors what is happening across the country. 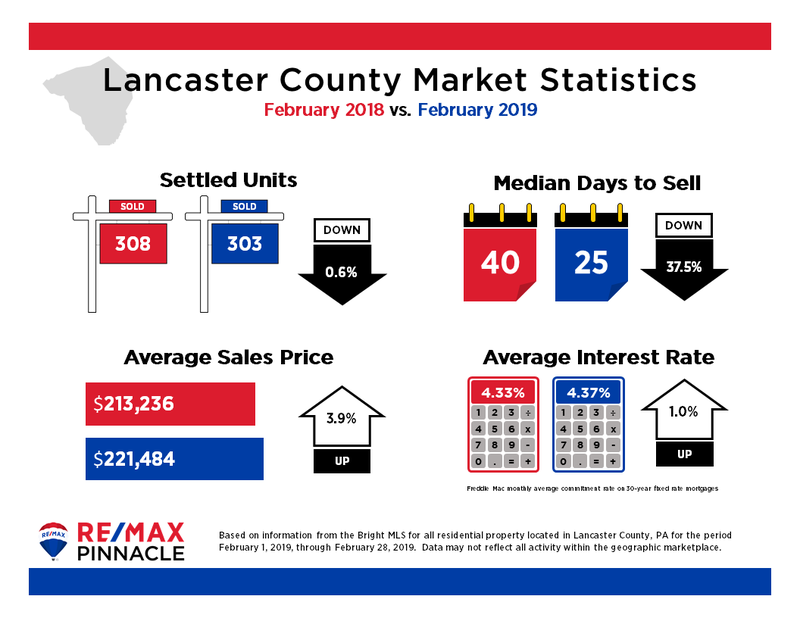 Median Days to Sell – Twenty-five days on the market is a significant drop from last year and far exceeds what the majority of the rest of the country is experiencing. Average Interest Rate – Almost the same as last year. Predicting mortgage interest rates is a tricky business, but most experts predict that rates will hold fairly steady until at least the spring home buying season is over. 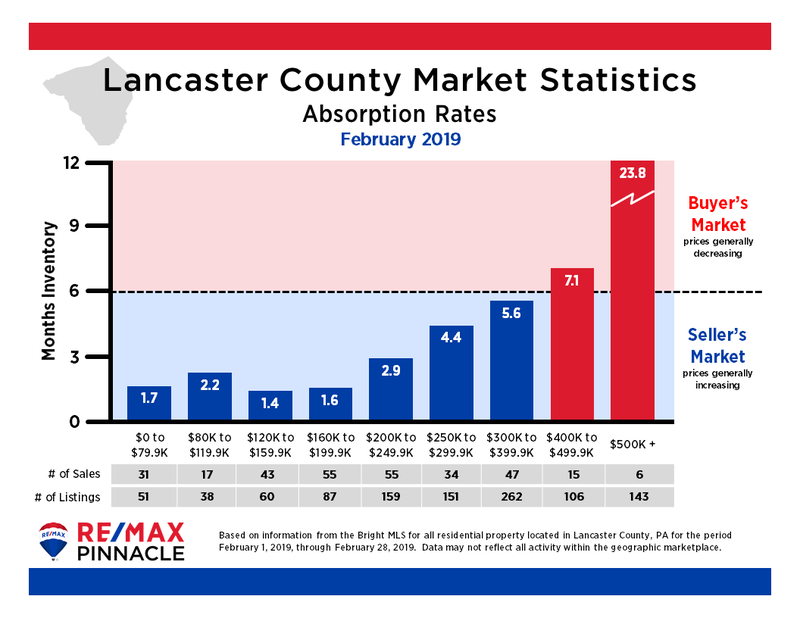 Absorption Rates are the rates at which available homes are sold in a specific real estate market and price range during a given time period. It is calculated by dividing the total number of available homes by the average number of sales per month. The rate represents the number of months it would take to clear out available inventory if no other homes came on the market. Homes that are competitively priced under $300K are selling at a rapid pace which accounts for the extremely low absorption rates. Multiple offers on these homes continue to be the norm. Head north of $300K and the market becomes relatively balanced. However, the luxury market over a half a million is ultra competitive. Sellers who are in this price category should heed their real estate agent’s advice regarding list price because of the abundance of inventory that is sitting. May is always a month of transition. Winter is definitely behind us but summer is not quite here. Some nights you can sleep with the windows open to breathe in the refreshingly, cool air; some nights it’s downright frigid and the windows are closed. All across Lancaster, small signs are appearing right before our eyes that point to what lies ahead of us in just a few short weeks – – like the corn sprouting from small seedlings in hundreds of fields across the county. Is the real estate market sprouting and following suit? Let’s look at the numbers . . .
February’s winter winds are behind us and the days are now starting to get longer. As we head into spring, there is always a sense of anticipation for what lies ahead. Let’s take a look at the latest numbers. 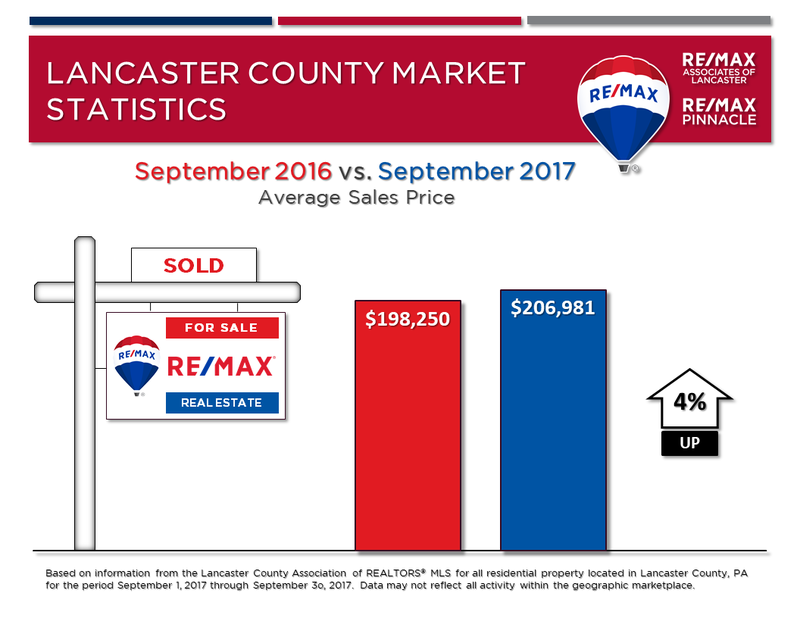 Average Sales Price – A huge jump of 7% from last year at this time. As the supply of inventory continues to struggle to keep up with demand, expect prices to continue their healthy upward trend. Ahh – – December! As the year wound down, the cold, frigid winds of winter blew through Lancaster County. This is the best time of year to reflect back on the year that was and to think and plan for the new one. Now grab a pen and paper and sit down by the warm fireplace and get busy. 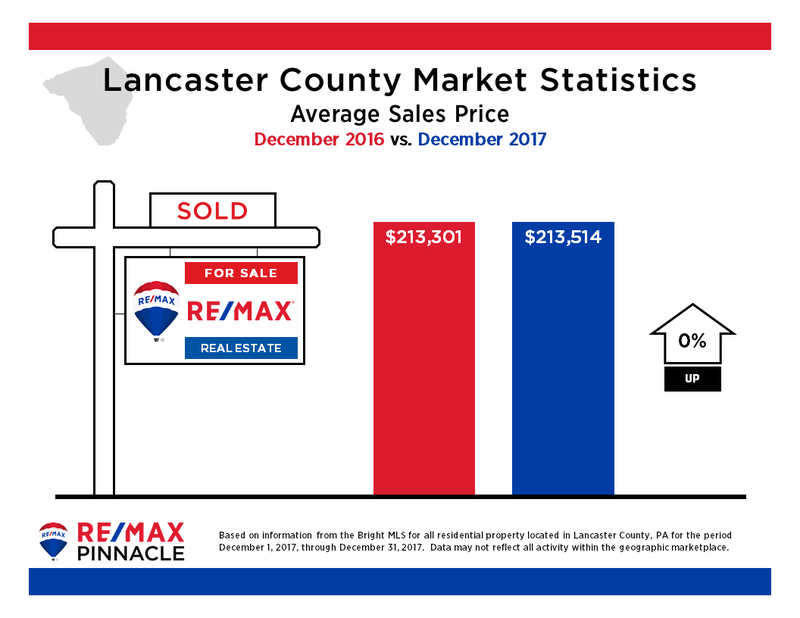 The familiar sight of the sun rising over the horizon on a frigid morning and its beams reflecting off of the frosty blades of grass tells us that winter is just around the corner, and with it, another year will be in the books for Lancaster County real estate. As we start preparing for the holidays, let’s take a look at the numbers. As we wave goodbye to the 3/4 mark in 2017, the beautiful fall foliage is rapidly appearing all around us. There have been lots of interesting developments on the real estate front this past year. The market that has shown a steady recovery from the Great Recession which has been good for Central Pennsylvania. Let’s take a look at the numbers to see what they reveal. 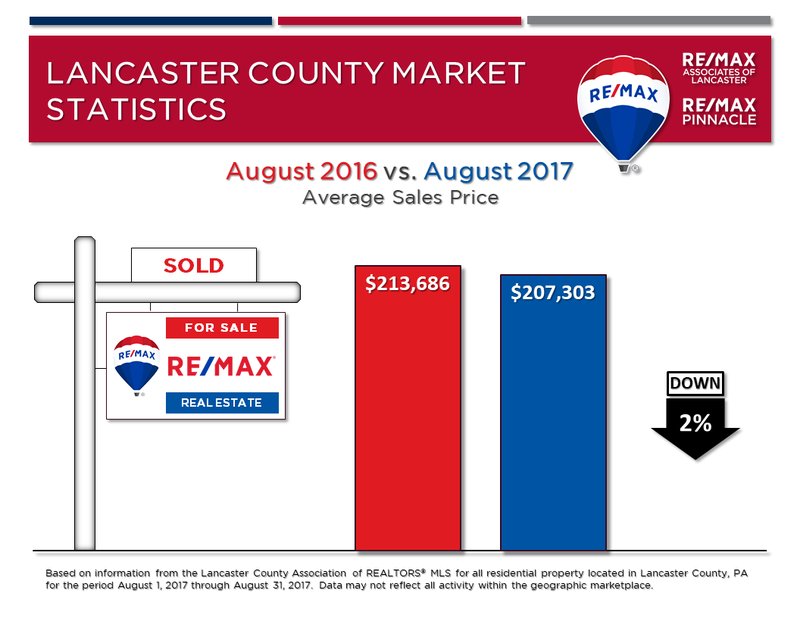 After a steady rise in average sales price over the past couple of years, August saw the first decline in a long time. Not to worry. Sales activity is still steady but home buyers are more active in the lower price ranges which has caused the average sales price to dip just a bit.